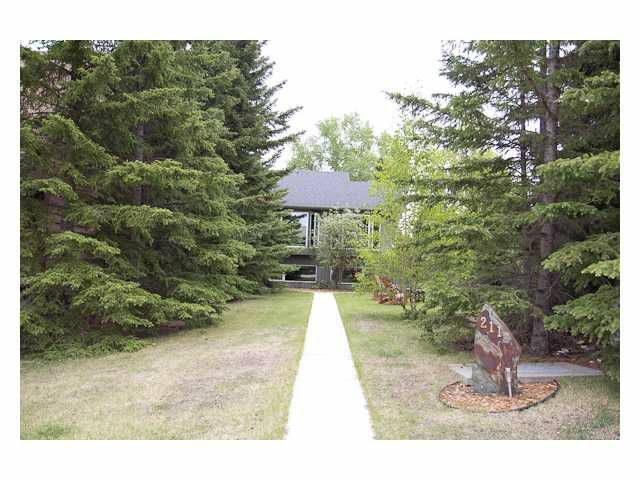 Welcome home to your own SECLUDED, PRIVATE lot,located in the quiet community of Coach Hill. This completely renovated home features over 2000 sq ft of living space and a 335 sq ft,multi-level,CEDAR deck,overlooking a beautiful park like yard,with over 40 mature trees,shrubs and perennials. Brazilian Cherry HARDWOOD throughout,this UNIQUE 3 bedroom home is one of a kind! Spectacular OPEN living space with a custom built kitchen(featuring high end Miele appliances)a large family room,two other good size bedrooms and a LOFTED Master Suite you will enjoy as your own sanctuary! The huge windows give you views of downtown,the cozy wood burning fireplace will warm you on cold Calgary nights and a huge soaker tub that may take you so far away,you may forget it's your own bedroom!! A new roof,high efficiency furnace,50 gallon water heater,windows,electrical panel are just a few of the upgrades completed on this home! All of this just steps to pathways and within 15 minutes of downtown!! OPEN HOUSE this SUN 1-3! !